In 1996 an exhibition in the Museum Meermanno in The Hague commemorated the foundation of The Vale Press in 1896. During preparations it came to light that the Dutch libraries together did not possess a complete collection of the ninety volumes of the press, however, several public collections contained a small representative group of Vale Press books, the Koninklijke Bibliotheek, National library of the Netherlands being one of them. The national library acquired the books in three batches, in 1900, in 1954, and in 1988. 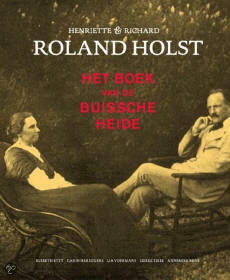 In 1988 a few books were added to the collection as a longstanding loan from the Dutch Museum for Literature. These books came from the bequest of the poet Adriaan Roland Holst, a nephew of the artist and book designer Richard (Rik) Roland Holst (1868-1938), who visited London in 1893 to meet William Morris and Walter Crane. He became best of friends with Ricketts. He wrote a long letter about Ricketts and Shannon to his fiancée, Henriette van der Schalk, misspelling the name of his new hero: 'Rickets talks you off your feet, he keeps on talking, without talking nonsense, very intense and excited, never jumpy, giving a broad perspective, you can feel that he has seen a lot, and knows everything'. He thought him a brilliant man, whose work was 'deep, ingenious, full of fantasy, with a purity of rich feeling'; all features of art he was striving for himself. He admired Ricketts, for although Roland Holst was only two years younger than Ricketts, the latter had achieved far more: he founded his own magazine The dial, and he designed the covers for books of Oscar Wilde and Thomas Hardy. Ricketts had designed the binding and typography of John Gray's Silverpoints, of which Roland Holst owned copy number 111, and Ricketts and Shannon had worked a year on their latest publication, Daphnis and Chloe. When Rik Roland Holst visited their home in The Vale, Ricketts and Shannon were working on the wood-engravings for Hero and Leander. 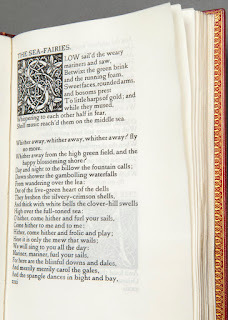 The first Vale Press book, Milton's Early poems (1896), was acquired by the national library during the Winter of 1900. The work of Ricketts and Shannon had been exhibited in the Netherlands as early as 1892, and private collectors had been more attentive. J. Visser of Rotterdam had corresponded with Ricketts, and had been buying books since 1897. After the Vale Press suffered from a devastating fire at the printer's, the library bought a few books, such as Michael Field's The world at auction (1898), Ricketts's A defence of the revival of printing (1899) and The Rowley poems of Thomas Chatterton (1898). They arrived in November and December 1900, and were acquired directly from the shop of Hacon and Ricketts. The Chatterton edition is remarkable, as it is one of only a few sets in the so-called flame binding, of which the pattern of flames and orange dots was a memento of the fire in which many wood blocks and unbound copies had been lost. The Vale Press stated that only three copies of the Chatterton had survived, but, as there are copies at The Houghton Library, at the Koninklijke Bibliotheek, and at least three copies are known to be in private collections, more than three copies must have been found among the debris. In 1954 the Koninklijke Bibliotheek again acquired two Ricketts items, the first of which was Beyond the threshold (1929), which was bought for its binding. 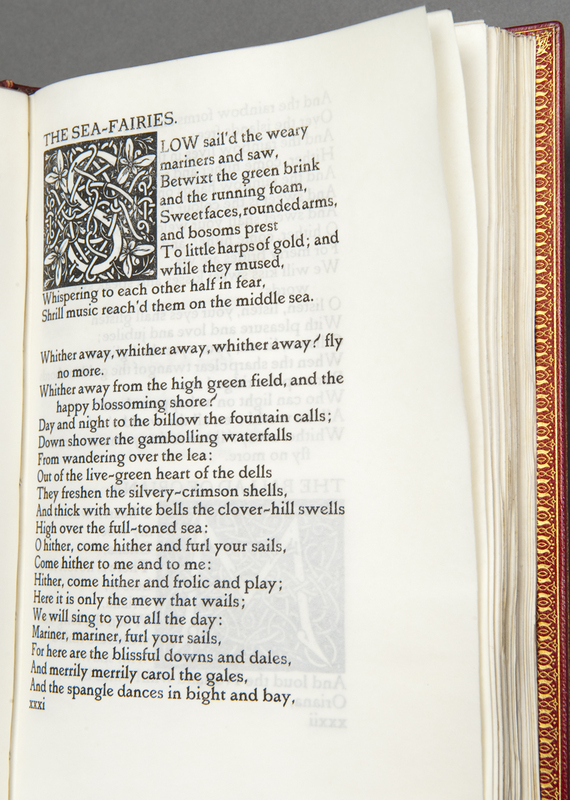 The same goes for the edition of the Lyric poems of Tennyson, which was bound in red morocco by Zaehnsdorf, and acquired through the antiquarian firm of Frank Hammond. This book is one of only ten copies on vellum.